Excited to be back & happy to see so many familiar names about the place. Christmas, annual trip to Spain etc. And I celebrated my big 4-0! which I am not happy about! great progress in my strength, general fitness & overall confidence. 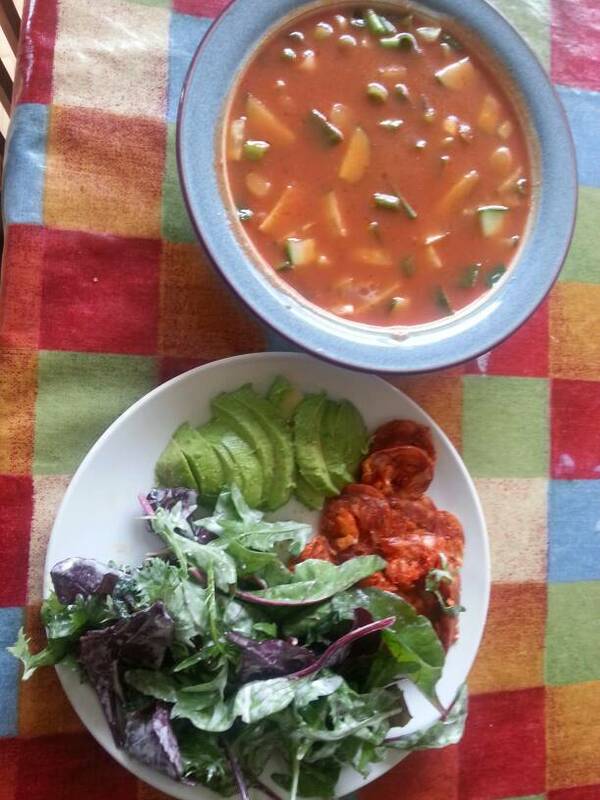 Here's to a rockin' by-the-book super awesome Whole30. Yay! I'll be following you! Look at you go, girl!! Love the jumping gif. - Defrosted & cleared out my fridge/freezer. Yes, defrosted the fridge! Because the thermostat is fried & the fridge is way colder than it should be....Was hoping we'd be able to replace it soon but not to be Frozen lettuce anyone? Not too much to get rid of/pack away. Will do BIG shop in the morning. - Didn't go to crazy on last day blow-out. Had a raw-rev bar, a protein shake, and a cup of tea with milk, everything else was compliant. - Went to Crossfit this evening. Coincidentally Coach just got himself a calipers and will do my body fat % on Saturday, so that will be interesting to see if it comes down over the 30 days, esp as I plan to add in an extra days CF training from the 6th. - Also meant to mention that I am using the Pact App - anyone else? and getting paid cash money for my veggie consumption & walking (10,000 steps on fitbit). - catched up a bit on my Simple Abundance creading but still more than a months work to catch up on. Best of luck with your Whole30 Derval. You sound mega motivated and ready to ace it! Yay! That's awesome that you love the CrossFit so much! Sounds like you have a great coach. Our gym just de-affiliated with CF so we're focusing almost entirely on strength and much less on conditioning. I kind of miss CrossFit, but love my trainer so much I'm sticking with him. After breakfast went to do the BIG shop, jeez spent €100/$75 and that's nowhere near enough for the week. After packing away (fridge tetris!) we all (dh has every Friday off for the Summer school break) headed to Ikea, where we planned to have lunch (kids love the meatballs & "jam"!) I reckoned there'd be nothing compliant so I brought my own & shamelessly ate it in the restaraunt. 1pm - and boy I needed it by then! Hangry Mammy! 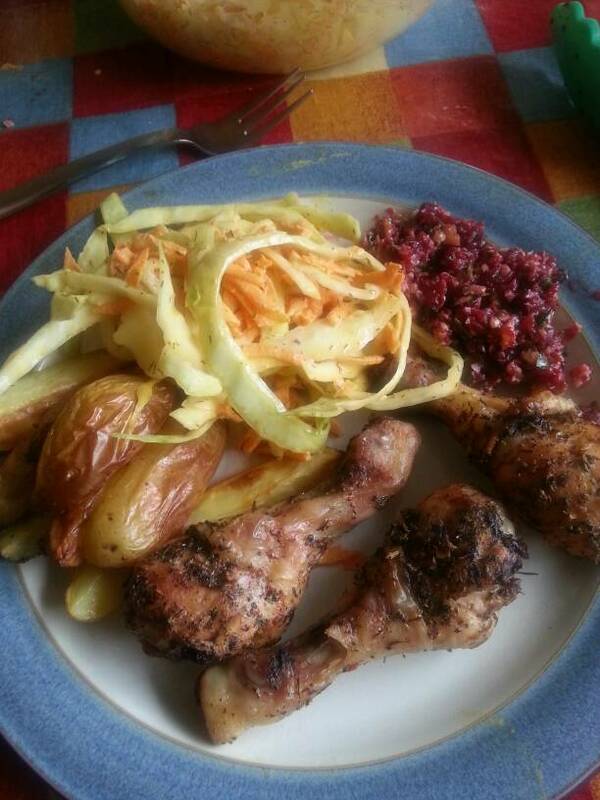 Baby potato wedges, beetroot & walnut dip, coleslaw, herby spicy chicken legs. So that's it, kitchen closed for the night....I hope! I'm trying attaching the pics via tapatalk this time...does it work? It's easier than the instagram/webstagram. ETA - for fellow Irish shoppers , some finds. Lidl streaky rashers (both varieties) are ok, Aldi are not. Lidl Spanish deals have compliant chozizo and cartons of gazpacho. Aldi have 2 packs of avo's for 39c. Ooh, I wish I'd read about the Lidl shopping earlier. I never get to Lidl's, but there's one just around the corner from my course. I'll have to see what they have when I'm back on Monday. Day 1 and you're already rockin' it! What do you love about Crossfit? I'm sorely tempted to give it a shot once my back injury is fully in the clear, but I just can't quite wrap my brain around it, yet. Love the big happy pic of you with what looks like a Guinness martini. You're such a shining star! Cheers to 40! I've got a few years to go, but my mum and Gram both said 40 was their favorite age, so I gladly look forward to it. 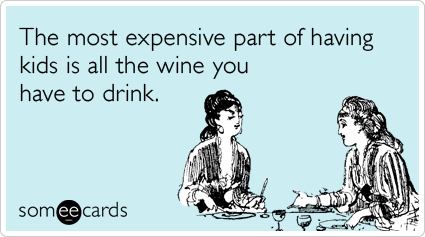 Cheers, also, to your full-arsed 2014 W30 and achieving all your goals! Ha ha my full-arse Big & juicy! Drink was an espresso martini, of which I had several, and I wonder why I couldn't sleep when I got home from party at 5am!! the community spirit & great company - esp as a stay at home mum it's nice to have adults to chat & have a laugh with. lifting heavy - how I love deadlifting, it makes me feel awesome. healthy competition - I have a streak a mile wide and since giving up running & races I'd missed this in my life. they all have non compliant ingredients - rice starch, glycerine, soya etc. 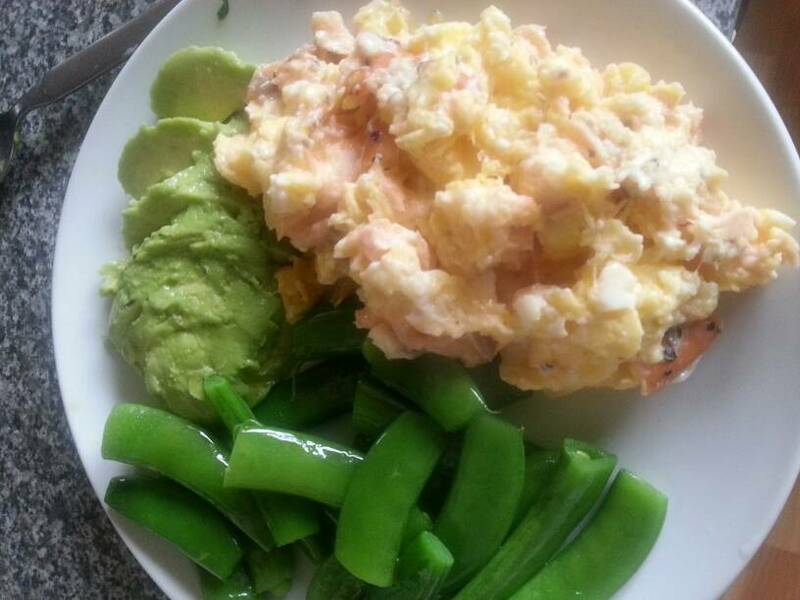 Thanks for the avo heads up. I need to go grocery shopping. Great to see you back lovely lady and looking forward to following your progress! This is likely the reason that will get me to my local box. One of our members, I kid you not. removed pic , god imagine his GF joined w30!! We haven't even discussed my weakness for Irishmen. I'm fainting over here. If you tell me he's smart, decent, kind, available, and interested in a green card, I'm on the next flight. . . .
Nah sorry LM, not available, but thoroughly decent bloke, always a good encouraging word for you during & after workouts. 11am - Crossfit Mobility class - stretchtastic! Then I availed of a new service my coach just started - body fat analysis, so I got that done. Pretty cringey for both of us all the handling of flesh....Got my results this afternoon - 21.28% I think this is a bit off, I do not look lean, I have love handles but this number suggests otherwise...another 1.28% down puts me in the "fit athlete" range! Will be interesting to see what w30 and stepping up my CF training will do to that %. And then deadlifting . I'm working off a strength training spreadsheet based on your last pr. So today I did working sets of 3x70, 3x80 and then 3* (3 + as many as you can rep out) x 90kg (just shy of 200lb). I got 7 reps Plugging that in to 1rm calculator gives me 111kg so I am on track for hitting my goal of 110kg (242.5lb) in test week next month. Whoop! 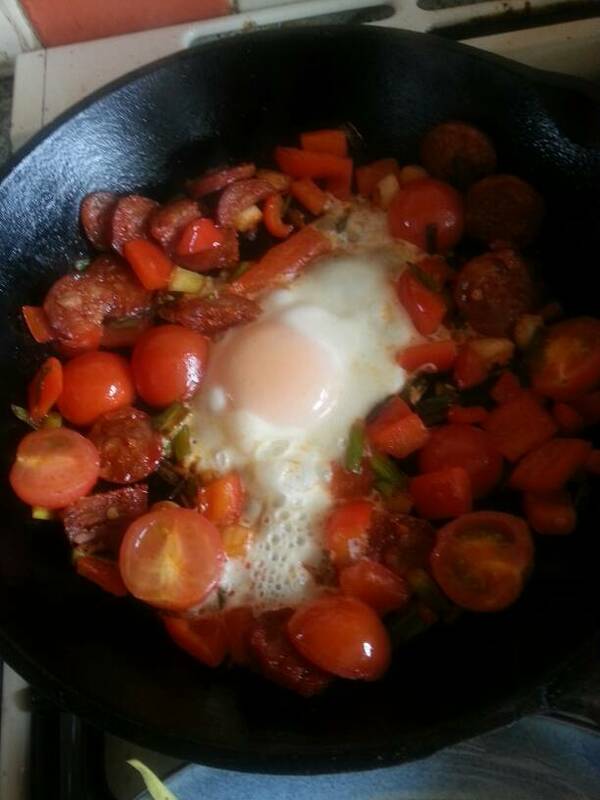 1pm - chorizo, red pepper, spring onions, cherry tomatoes, fried up with an egg (pic in pan as I never get it out nicely!). Served with pile of last nights coleslaw. 4.30pm - mug of mystery broth from freezer. Irish/uk peeps - I got compliant balsamic vinegar in M&S today. And also smoked bacon lardons. 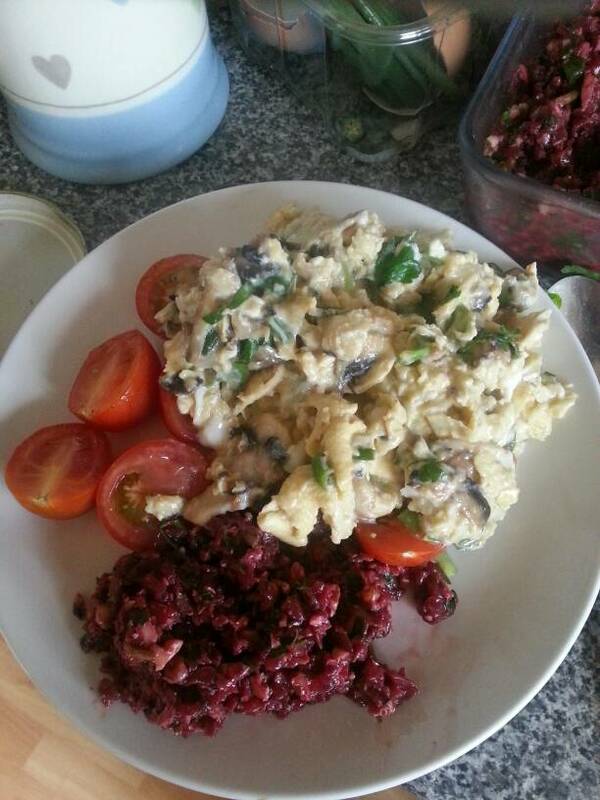 8.30am - scrambled eggs (3) with mushrooms & spring onions, beetroot dip, cherry tomatoes. cm coffee. 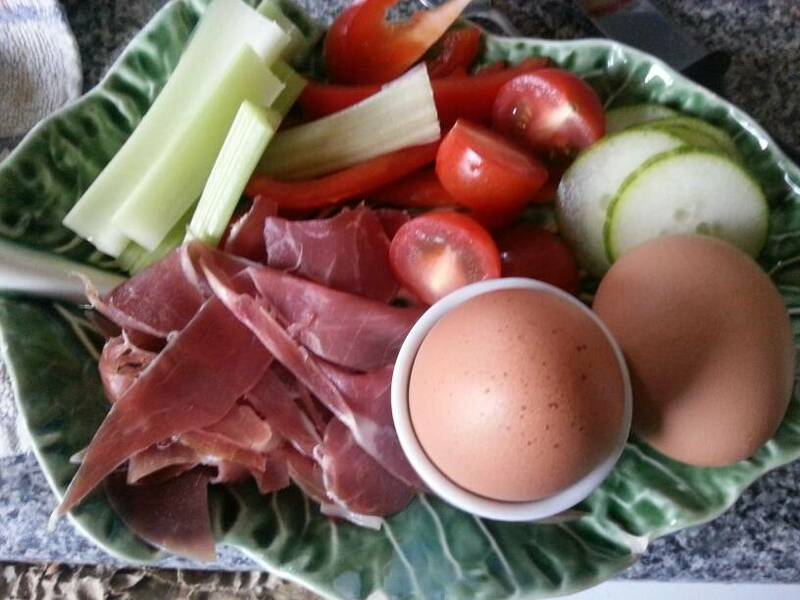 1pm - gaspacho (Lidl) with extra spring onion & cucumber. Salad with ranch dressing (thanks LadyM!) chorizo & half an avo. I thought this was maybe too much fat, but I was ravenous by 4pm! 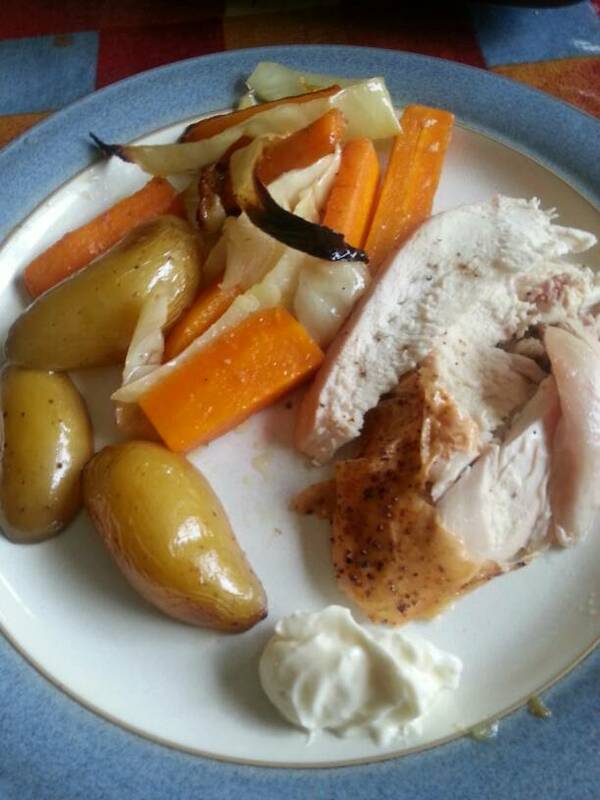 5.30pm - roast chicken, roast carrots, cabbage & baby potatoes. mayo. I did have seconds of veg. Have been quite hungry (I think) going to bed these last few days, stomach felt rumbly, probably missing my evening snack, but hopefully I will get used to it. Hit all my Pact goals this week - 10,000 steps 6 days, and 15 servings of veg over the week. 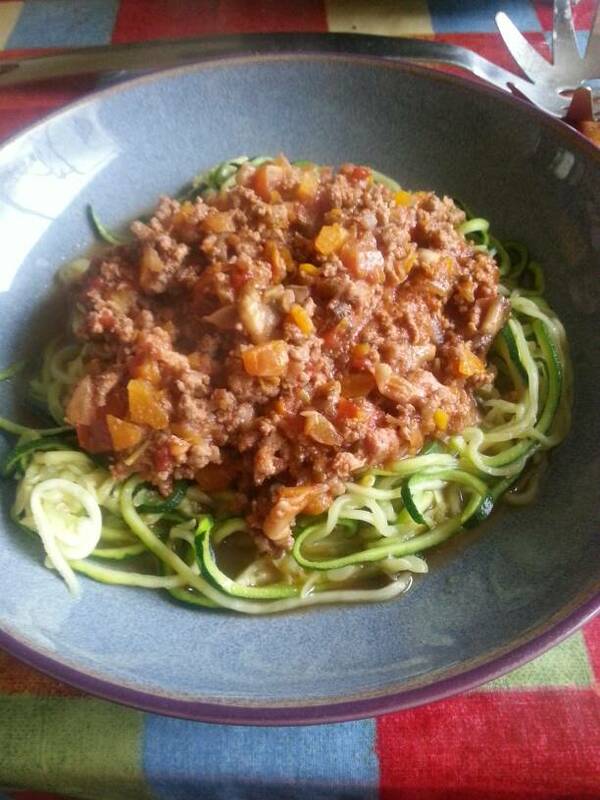 I have increased next weeks goal to 18 portions. I feel the same. My tummy (which is no where near flat) is flatter than it was last week. Haha! I'll cheer for the droopy pooch, too! What's your review of the ranch? Better than Well Fed? 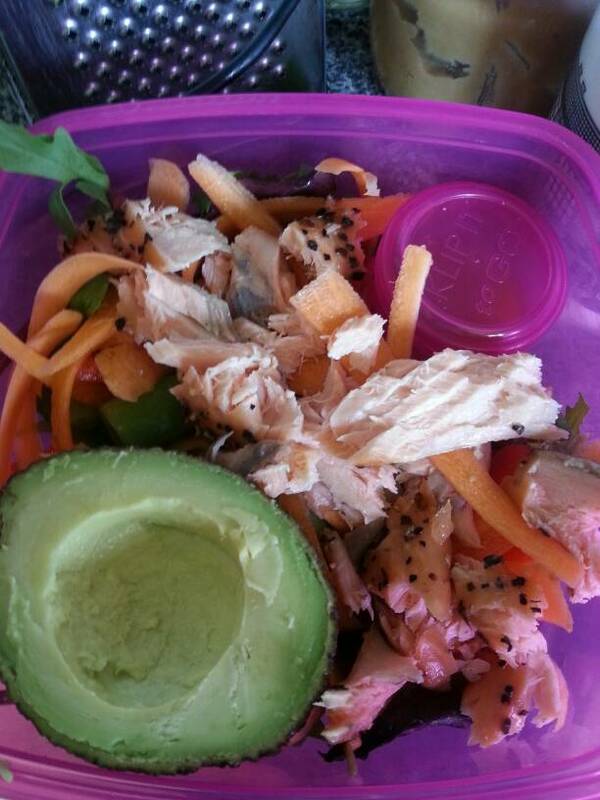 Is it possible you needed more protein at lunch? It seems to me chorizo is nearly as much fat as protein. Perhaps another added bit of animal flesh on that salad would have helped tide you over. But bone broth is my go-to also when I'm hungry but know a meal isn't imminent or the best choice, like at bedtime.